The Dubai Beach and the Car Battery Issue - Something New Everyday! Weather in middle east becomes really cool from October to January. This is ideal time for families for outdoor activities such as beach fun, lawn Barbeque, outdoor picnics, outdoor shopping, horse riding, water parks, desert safari and green park activities. 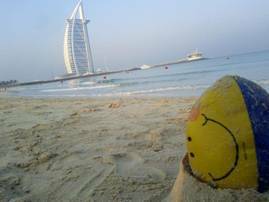 I thought of taking my family to Burj al arab beach early in the morning. So we left for the beach right after morning prayer and spent three quality hours at beach filled with fun and enjoyment. On our way back from the beach I noticed a nice gentleman trying to start his car by connecting his car's batteries with another car's battery but unable to do start his car's engine. He had screw drivers in his hands and he was checking all the connections in the engine. I thought of helping him so I went to him and asked if I can give a suggestion. Upon his acknowledgement I offered him to change his battery-connecting-cable with mine. I gave this suggestion because I already noticed that his battery-connecting-cable was thin which cannot provide enough current/power to start the car. In short, we tried the new thick cable and his car engine started immidiately. The gentleman, Area Manager of one of the mobile phone companies, delightfully thanked me because he was desperately trying to start his car for the last one hour and I made his life easy by a very small act which hardly took 3-5 minutes of my time. 1- Your battery connecting cable (picture above) should be thick enough to start the car. 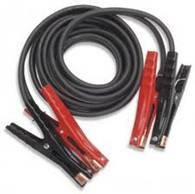 Purchase the thicker cable else it may not work and you might have to call for a car pick-up-trolley service to take your vehicle to the garage. 2- Always see the battery indicating color (picture above) . If it is green then your battery is ok. If grey then it is required to be replaced or recharged. The color codes may vary depending upon type and manufacturer of the battery so read the comments on the battery itself. 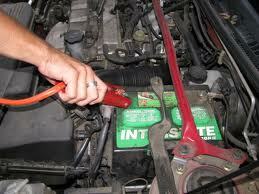 3- Sometimes battery terminals become week or dry consequently your car won't start. 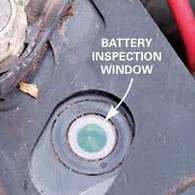 In this situation a mild hit on the battery terminal with a hammer or any other solid thing (while your engine is off) will make the contacts work again. 4- If your car is under Insurance; call the insurance company since most of them provide free road assistance for battery problems, tire puncture and other emergency issues. Other than the technical thing what I learnt from this story was that sometimes our small deeds of kindness can make a big difference in someone's life. So don't consider any act as a small one because you never know when you become the most beneficial person for someone and get heavy prayers and blessings. So never miss even a small act of kindness and love. Thank you very much..If it happens you to visit Saudi Arabia then do keep in touch with me.. Thanks a lot for your comments. Good souls like you are very valuable for humanity. I request you to keep spreading the good words and acts of kindness on earth to spread happiness and bring peace on the planet. Easily, the post is actually the greatest on this deserving topic.